Classical acupressure points are taken from Traditional Chinese Medicine literature. These acupoints may or may not be located on the 12 major Meridians or 2 Extraordinary Vessels. Classical points have their own Chinese “pinyin” name and their own functions and energetics. An Shen, Peaceful Spirit, is especially powerful and commonly used for dogs and cats. This Classical point is not associated with a channel or any of the 365 transpositional acupoints. 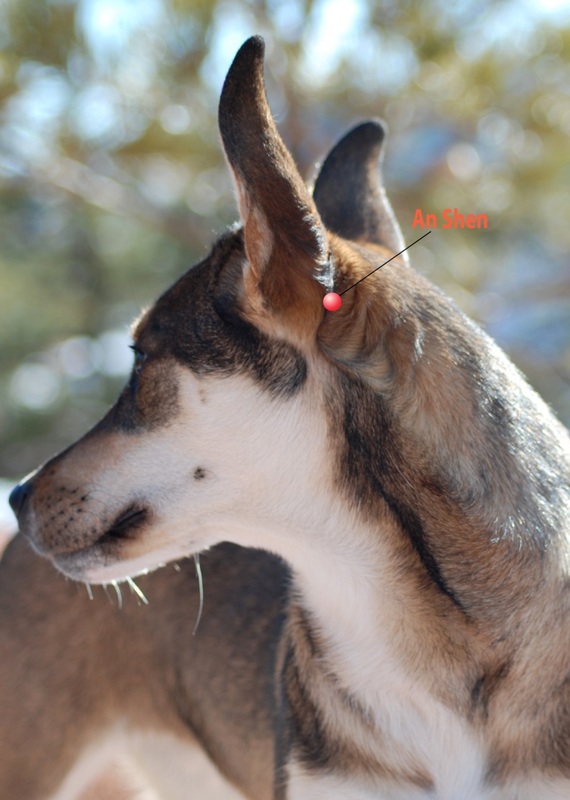 It’s a rare dog that doesn’t enjoy a good rub behind his ear – that’s exactly where An Shen is located. Quite a few cats are given to enjoying a rub on An Shen and even make an effort to rub up against you right on the exact point. 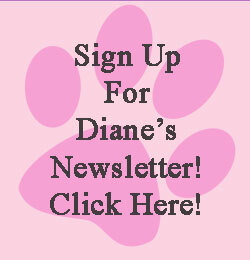 Benefits An Shen is a calming point and thus resolves shen (i.e., the spirit of the animal) disturbances. It is known to help dispel anxiety, fear, grief, and timidity. An Shen can be used for behavioral issues such as obsessive-compulsive disorders, aggression, and lack of focus for training. The Classical An Shen point is also used to address physical issues such as seizure disorders (Internal Liver Wind), hearing loss, nose bleeding, nasal congestion, facial swelling or paralysis, and stiffness of the head and neck. 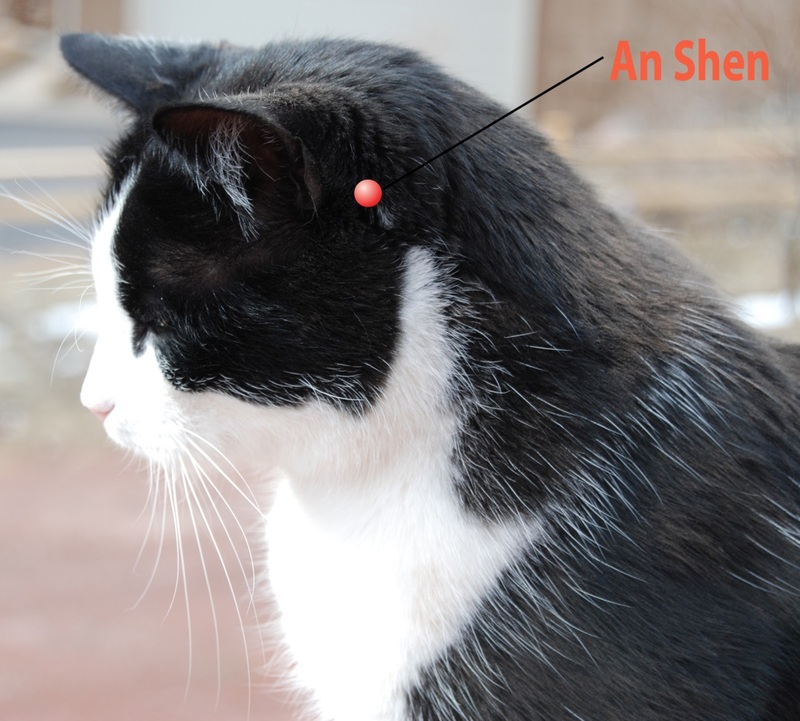 Location The location of the An Shen point is the same for dogs and cats: on the back side of the animal’s ear midway between the base of the ear (Triple Heater 17) and Gall Bladder 20 which is located in the depression created below the occiput and the wings of the atlas.